I got this in the sale at Cotswolds and never have I got a better bargain! They are super comfortable and warm and my crampons fitted perfectly. Easy to get on and off and have a sweet rocking motion as you walk. 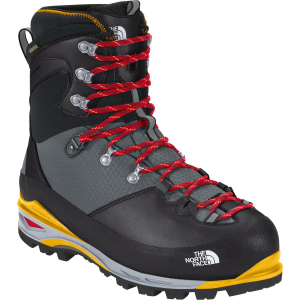 I bought these boots for winter mountaineering after a truly painful experience with double plastic boots sent me in search of an alternative. The SM Experts have been great. I have wide feet, and they have fit me well. My feet have not been cold at 0 degrees F (though I tend to run warm). Lovely balance between stiffness in the sole and flexibility at the ankle, making it good for general mountaineering and snowshoeing. Rock solid fit with Grivel G-12 and G-14 crampons. I am returning mine because the toe box is just narrow enough to make it uncomfortable. I may try a full size larger than my street, but that may prove too big. Have not taken them out, but they sure feel warm, and the sole is very stiff: I can easily stay on a 1/2" edge. 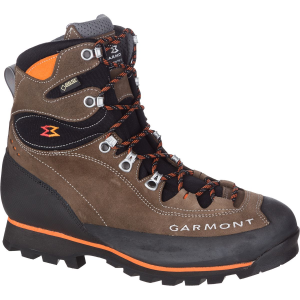 They are 4 lb 14 oz--heavier than any non-insulated boots but lighter than plastics. The reason why some would not recommend them for above 5000m or extreme colds is that (a) they are not waterproof and (b) you can't take the liners off and put them in your sleeping bag to prevent their freezing. 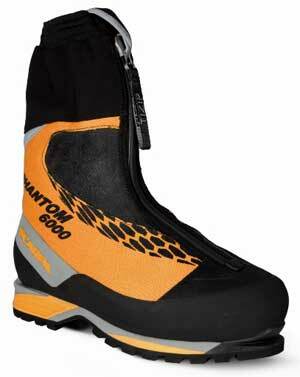 They say you can mitigate (a) with supergaiters or overboots and (b) with vapor-barrier liners. 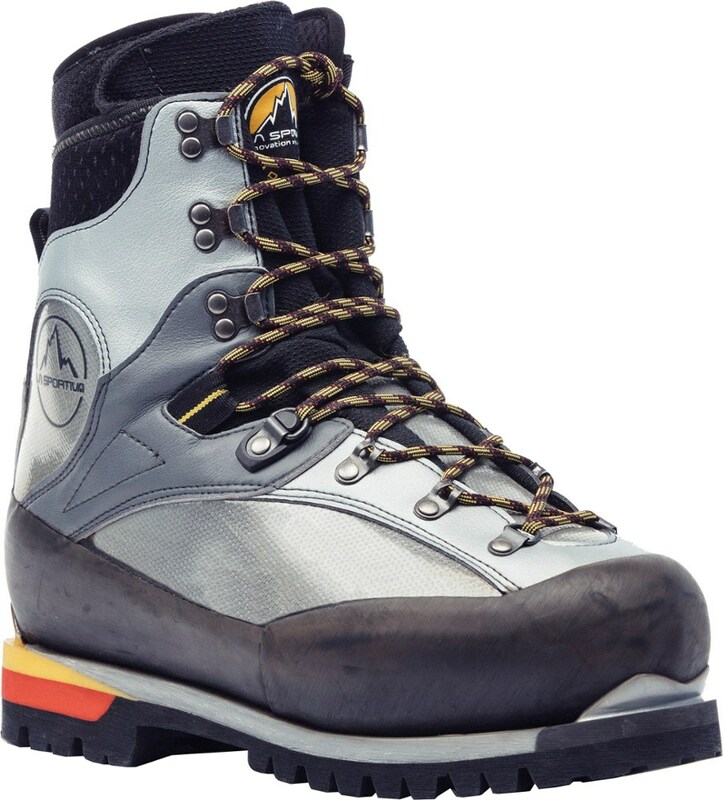 This is a great all around mountaineering boot. I have use it for ice climbing in the White Mountains, summitting Mont-Blanc and even when snowshoeing on cold January days in the Laurentians Mountains. I would like to wear these boots for high altitude mountaineering (5000m plus) but experts often recommend a plastic boot with a removable bootie. What is the reason for this? 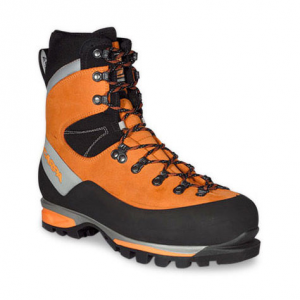 This is a great general mountaineering boot. I would definitely recommend it. The sizing is true to fit. The SM Expert has been discontinued. 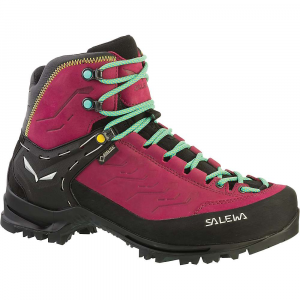 The Salomon SM Expert is not available from the stores we monitor. It was last seen October 26, 2007	at GearTrade.